Veterans in the Benevilla Restorative Life Enrichment Program and Veteran Services program are being honored this year with a special wall display including flags of each U.S. military branch, as well as pictures and names of each veteran. The display is proudly exhibited in the program’s common room. It is a work in progress that each veteran is encouraged to share in, much as they share their life’s experiences as they spend the day together and with other members at Benevilla. The veterans are a close group who have found friendships with each other as together, they progress through a day of exercises and activities designed to keep them active. Benevilla’s Veteran services program Members of the Restorative Life Enrichment Program are older adults who may be in need of ongoing physical therapy as they recover from stroke, hospital stays and injuries, as well as those with Parkinson’s disease and others with long-term care needs. Their routines are designed to keep them moving and using their muscles, as well as their cognitive abilities, and many attend the program on the same days. 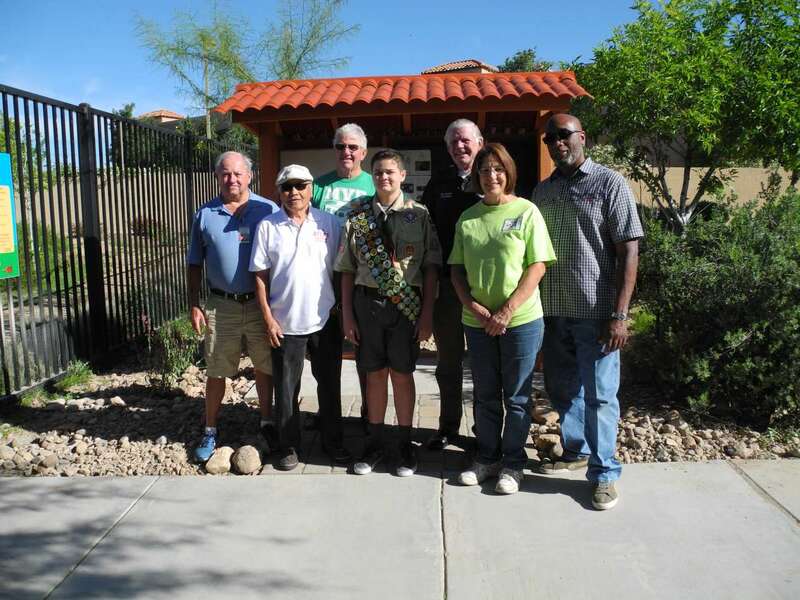 On any given day, you can find several members relaxing together over a meal or visiting with each other between restorative therapy sessions at the program, which is located in St. Clement of Rome Church, 15800 N. Del Webb Boulevard in Sun City. Many of their conversations include comparing notes on their times in the service. Today, the group includes Jim Kenney, who served as a midshipman in the Navy. He remembers being aboard the USS Midway, with the unenviable job of removing the “chocks” from the front of a jet’s wheels before takeoff from the aircraft carrier. “They (pilots) would rev up their engines all the way as we lay beneath the plane, then we’d pull out the chocks to launch ‘em,” he said. “It scared me the first time I did it.” After serving aboard the carrier, he decided to attend officer’s training school, but left the service after an ultimatum from his fiancée, who did not want to be a Navy wife. He says he was “happy to serve my country,” but also happy to be married to his high-school sweetheart. Also in the group, Wayne Krause enlisted in the Navy during the Korean War and served in “fire control.” When asked about his work as a fire fighter, he explained his job was manning guns, not managing fires, on the USS Fletcher, a destroyer. He worked with radar and sonar to locate and destroy incoming planes and submarines, which is about all he wanted to say about his service. He left the Navy after four years. Another member, Roy Dean served as an Army ambulance driver during the Korean War and considers himself a lucky man. He recalls twice seeing bombs thrown at his vehicle or into the bunker where they worked, but neither exploded. “They were duds and I’m very lucky,” he said. Ray Rainwater enters the conversation and describes his two years in the Vietnam War as a blur. He served as a gunner on a helicopter that flew missions all day and night. “We’d rest for two hours and be back out on another mission. They kept us going with pills, which meant we couldn’t sleep when we were supposed to. They sent us for three days of recuperation every month, where all we did was sleep.” He also worked as a plane electrician, making repairs to combat aircraft, a skill he taught to the South Vietnamese as a civilian contractor after leaving the Air Force and before returning to the U.S. with his Vietnamese wife and three of her relatives. On this particular day, the veterans are happy to speak about their war years and show pictures of their younger selves, posing with friends and sweethearts in their service days. They are also happy to be recognized by Benevilla for their service. The idea to honor these veterans came about naturally, according to Restorative Life Enrichment Program Director Carol Stathas. Of the nearly 50 members enrolled in the program, about half are veterans, she said. “As a team, we felt we needed to do something special” to honor them on Veteran’s Day and throughout the year. We are honored to be able to support Veteran services programs through our Life Enrichment Day Programs!